Theodore Roosevelt was born in New York City in 1858. He studied at Harvard University and Columbia University Law School (1880-81). The following year he was elected to the New York State legislature (1882-84) where he developed a reputation as an honest politician opposed to corrupt, party-machine politics. In 1895 Roosevelt was appointed president of New York City Board of Police Commissioners. 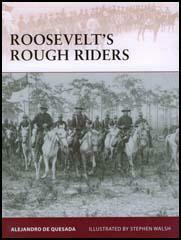 In 1897 Roosevelt became Assistant Secretary of the Navy and with Leonard Wood organized the Rough Riders, a volunteer cavalry unit that took part in the Spanish-American War. During the war Roosevelt served in Cuba as a colonel. In 1899 elected governor of New York (1899-1900). Elected the Republican Vice-President in 1901 he succeeded to the presidency on the assassination of William McKinley on 14th September, 1901. Roosevelt was re-elected in 1904 on a program of reform. Using information supplied by investigative journalists, Roosevelt attempted to deal with political and economic corruption. This including bringing successful suits against 44 major corporations. However, in 1906 he indicated that the campaign was coming to an end when he described investigative journalists as muckrakers. 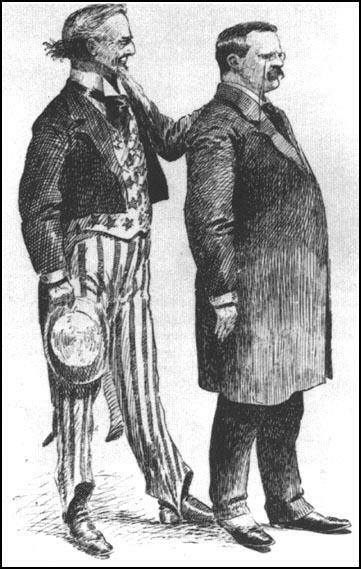 Uncle Sam: "He's good enough for me." Roosevelt decided not to stand for re-election in 1908, and instead decided to support his former secretary of war, William H. Taft, as president. Roosevelt grew more radical out of power and was disappointed with Taft's record. 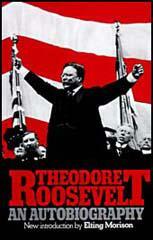 In 1912 Roosevelt stood as the Progressive Party candidate against Taft. His proposed program included women's suffrage, direct election of senators, anti-trust legislation and the prohibition of child labour. Roosevelt won 4,126,020 votes, but as he split the traditional Republican vote, he enabled Woodrow Wilson, the Democratic candidate, to be elected. Roosevelt supported USA involvement in the First World War and in 1917 was bitterly upset when Woodrow Wilson rejected his offer to lead a volunteer division to France was rejected. After the war Roosevelt was involved in the campaign against President Wilson's proposal for a League of Nations. Theodore Roosevelt died in his sleep on 6th January, 1919. In Bunyan's Pilgrim's Progress you may recall the description of the Man with the Muck-rake, the man who could look no way but downward with the muck-rake in his hands; who would neither look up nor regard the crown he was offered, but continued to rake to himself the filth on the floor. I hail as a benefactor every writer or speaker, every man who, on the platform, or in a book, magazine, or newspaper, with merciless severity makes such attack, provided always that he in turn remembers that the attack is of use only if it is absolutely truthful. In the beginning I thought, and still think, he did great good in giving support and encouragement to this movement. But I did not believe then, and have never believed since, that these ills can be settled by partisan political methods. They are moral and economic questions. Latterly I believe Roosevelt did a dis-service to the country in seizing upon a movement that ought to have been built up slowly and solidly from the bottom with much solid thought and experimentation, and hitching it to the cart of his own political ambitions. He thus short-circuited a fine and vigorous current of aroused public opinion into a futile partisan movement. The greatest single definite force against muckraking was President Roosevelt, who called these writers muckrakers. A tag like that running through the papers was an easy phrase of repeated attack upon what was in general a good journalistic movement. Theodore Roosevelt disregarded red tape. He brought to the problems of the White House a realism that had never previously pervaded the executive offices. It was because he was vitally interested in realities that he captured the imagination of the American people and became their great Evangelist in a demand that the government should serve the people. He was always a forceful figure and interested in the human aspects of all questions. He could concentrate both physical and mental energy to a startling degree. A person with such qualities must necessarily be egotistical. He compelled attention by his strenuous activity, his passionate espousal of causes, and his enthusiasm for a constructive measure. He had a great influence upon those with whom he came in contact. I was impressed by the scrupulous honesty and high motives in the attainment of public good that characterized Theodore Roosevelt. He was a man of action, quick to weary and become disgusted with delays and interferences; and it was this impetuosity, it seemed to me, and this irritation with the technicalities of law that sometimes prevented him from carrying out great national developments. Yet he built the Panama Canal after other governments and a great corporation had spent a vast amount of money and had failed in their efforts. He threw his heart into the construction of this waterway, whose long useful service has caused the struggle for it to be forgotten; hut during its progress the means by which the Panama Canal was accomplished in some respects seem doubtful to me. I followed him step by step in that fight. Doubts assailed me at the time, and I have since reached the conclusion that our government's decision to establish the new republic of Panama, which in reality prevented Colombia from defending her own territory with her army, was open to argument. The United States through appropriations has indirectly made amends so that relationships with Colombia fortunately are on the most friendly basis. My devotion to Theodore Roosevelt was such that in 1912, when he ran as the Bull Moose candidate for President on the Progressive ticket, I supported him, although at the time I was a member of the Republican party, and the legal Republican nominee for the Senate in the same campaign. All Americans of other race origin must act toward the countries from which their ancestors severally sprang as Washington and his associates in their day acted. Otherwise they are traitors to America. This applies especially today to all Americans of German blood who directly or indirectly in any manner support Germany as against the United States and the allies of the United States; it applies no less specifically to all American citizens of Irish blood who are led into following the same course, not by their love of Germany but by their hatred of England. One motive is as inexcusable as the other; and in each case the action is treasonable to the United States. The professional pacifists have, during the last three years, proved themselves the evil enemies of their country. They now advocate an inconclusive peace. In so doing they have shown themselves to be the spiritual heirs of the Tories who in the name of peace opposed Washington, and of the "Copperheads" who in the name of peace opposed Lincoln. We regard these men and women as traitors to the republic; we regard them as traitors to the great cause of justice and humanity. This war is a war for the vital interests of America. When we fight for America abroad we save our children from fighting for America at home beside their own ruined hearthstones. We believe that the large majority of Americans are proudly ready to fight to the last for the overthrow of the brutal German militarism which threatens America no less than every other civilized nation. We believe that it would be an act of baseness and infamy, an act of unworthy cowardice, and a betrayal of this country and of mankind to accept any peace except the peace of overwhelming victory, a peace based on the complete overthrow of the Prussianized Germany of the Hohenzollerns. The gift of the gods to Theodore Roosevelt was joy, joy in life. He took joy in everything he did, in hunting, camping, and ranching, in politics, in reforming the police or the civil service, in organizing and commanding the Rough Riders. A tragedy in his life was President Wilson's refusal to give him and General Wood commands in France, and I think that he enjoyed his hate of wilson; he expressed it so well; he indulged it so completely. yes, I think that he took joy in his utterly uncurbed loathing for the Great War president.